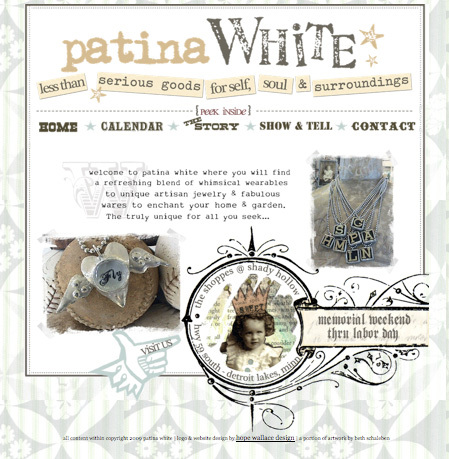 I just finished working with Beth Schaleben on her site patina WHITE. It was such a fun project that I just had to share it with you! Be sure to bookmark her Show & Tell Blog - I know she has a lot of wonder things to share with us in the future! Very Stylin'... great design work Hope! Love it! this looks great! I love the little scrolls below the categories when you click on them!